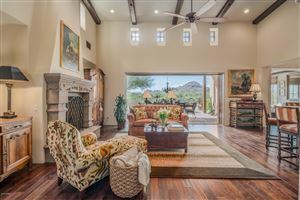 Gorgeous single level 4 bedroom home available in highly sought after Scottsdale community of Sweetwater Ranch. 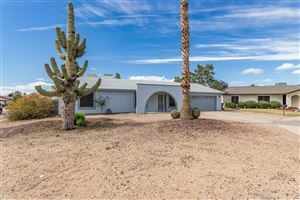 Home enjoys great location, near McDowell Mountain Regional Park and popular shopping, dining and entertainment. Immaculate floorplan features vaulted ceilings, tile flooring in the common areas and an abundance of natural light. Stylish kitchen boasts beautiful grey cabinetry and a center island/breakfast bar. The bedrooms are bright and inviting with the master including a luxurious bathroom with double sinks and separate tub and shower. The large backyard with a covered patio and grassy area are a perfect spot to spend the lovely Arizona days outdoors. This home is a spectacular find and will sell fast. Dont miss it. Data last updated 4/26/19 12:57 AM PDT.